We pride ourselves on being one of the best Denver party bus providers in the metro Denver area with our world class limousine services offered in several cities, including but not limited to, Denver, Arvada, Aurora, Centennial, Lakewood, Thornton, and Westminster, along with Berkley, Brighton, Broomfield, Castle Rock, Columbine, Commerce City, Englewood, Federal Heights, Golden, Greenwood Village, Highlands Ranch, Ken Caryl, Littleton, Northglenn, Parker, Sherrelwood, Welby, and Wheat Ridge. Please refer to our service area page to see a longer list of cities we frequently provide service to. You can also just give us a quick call and our reservation specialists will handle how we can best assist you. You will frequently see our vehicles out in public when you are attending big events, we spend a lot of time down at Sports Authority Field at Mile High, Coors Field and The Pepsi Center not just for sports but also concerts and performances, as well as The Ogden Theatre, The Fillmore Auditorium, Denver Philharmonic Orchestra, The King Center, and especially the Red Rocks Amphitheatre. No matter where you are headed we are here to get you there. We operate 24/7 for your convenience. We strive to meet and exceed our clients' expectations when it comes to their luxury transportation, and over the years this has earned us a great reputation in the area! If you want the best luxury transportation in the area and unbeatable prices, Denver Limo Bus is who you need to call! Our vast fleet offers vehicles of all sizes, each with custom features to make your event unforgettable. And we provide our services for absolutely any event! We're known as the area's experts in even transportation because of our prompt, reliable, and affordable services! You can browse our site to learn more about our services, prices, and of course to take a look at our amazing, award winning fleet! We also have answered some of our customers most frequently asked questions, as well some recommendations for locations our customers love to visit when they are heading out for a night on the town. When you're ready to book with us or get a quote, all you have to do is call! 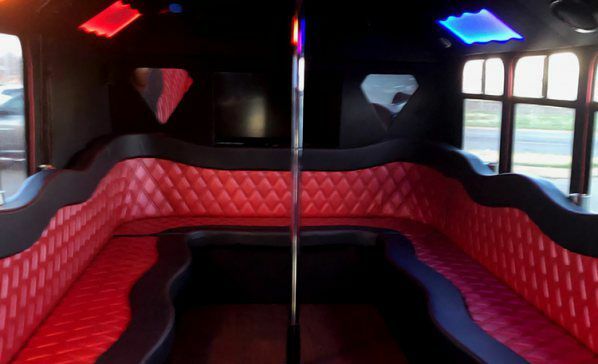 Party Bus Denver is here for you 24/7 and our booking agents will walk you through to rental process, answer all of your questions, and find you the best price on a vehicle for your event! Price quotes are always free with no strings attached. For your convenience we will keep your quote on file so when you call us back after shopping around we can pick up right where you left off so you can quickly move from the boring planning stages to the exciting anticipation stage of your next big group outing. We can't wait to hear from you! We aim to accommodate the needs of your celebration, no matter where it takes you! Denver Limo Bus is the premier choice for Denver limousine service and it's no wonder why! With a great selection of modern party buses and limousines, a vast area of service, and high rates of customer satisfaction, we're truly the limousine experts for Denver! Our limousine are perfect for all sorts of occasions and events, whether it's a prom, a wedding, or night out on the town. 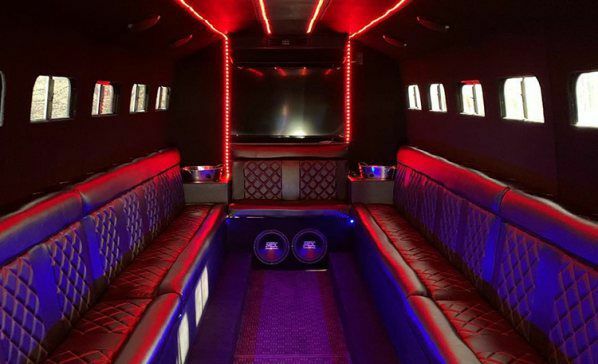 If you are looking for a luxurious yet affordable option for entertaining a group of people, our limousine services are a feasible and safe choice. With so many vehicles in our fleet, we can find one what fits in your budget. With our great services we aim to make your event easier and worry free by getting you to your destinations with no hassle. While we handle the journey you can relax and enjoy the trip. The Booking Process is as easy as 1,2,3 ! 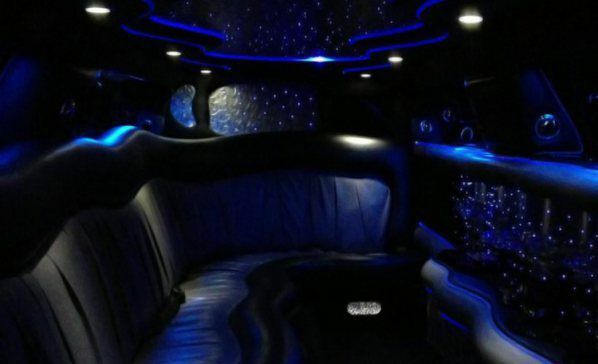 We know that it can be intimidating to reserve your limousine or limo bus. However, don't fret! All it takes is a simple phone call to get started with your booking. Remember to let us know where you're going, where we are picking you up, how many passengers you think you'll have, and when you'll need service. This will make it as easy as possible for us to give you the quote you need! Our booking representatives are on the lines now awaiting your call! Let us help you make your night memorable. 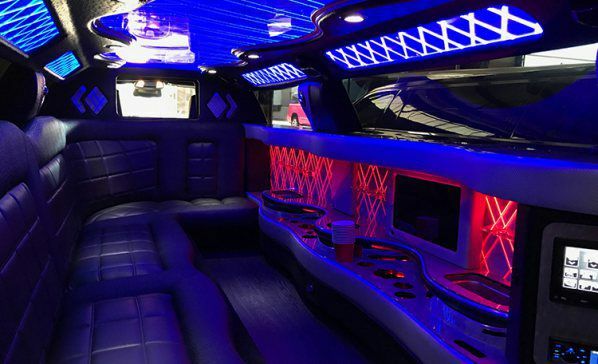 Our vehicles have custom interiors and such lavish features as plush seating, colorful lighting, great sound, on board bars, and more! They're versatile and unique so you can set the mood for any occasion! Give us a call at your earliest convenience to set up your trip, we're here around the clock for you. We look forward to ensuring your night is one to remember for years to come. We have years of experience making this important day less hectic, and we'd be honored to be a part of yours! Your wedding day transportation is a big part of your day, and we have a plethora of vehicles for you to choose from. Let us take over your next client meeting or holiday office party, it will certainly be one to remember. There's nothing quite like making a great first impression, which is exactly what you'll do in our stately limousines and limo buses. You deserve a night out on the town with friends, let us be the designated driver while you enjoy all of the fun! We'll take you to all of the hottest spots in Denver while you sit back and relax. Guaranteed to have a great time! Fill out the quick quote form below to inquire about our rates!